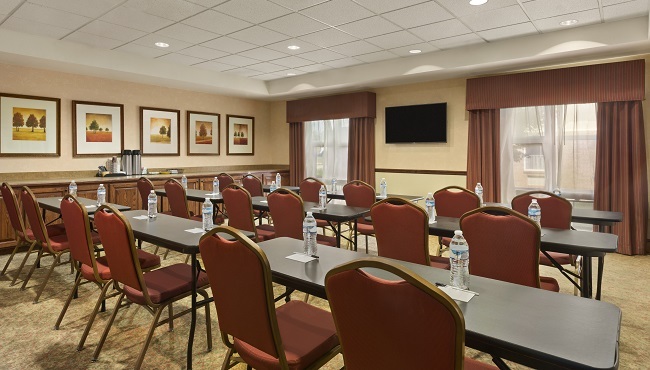 With more than 900 square feet of modern event space, the Country Inn & Suites gives meeting planners an ideal venue for events in the Macon area. Host friends and family for an anniversary celebration, meet with prospective clients, or hold training seminars for up to 30 guests. In addition to free high-speed Internet access, our meeting space also features audiovisual aids such as a dry-erase board, a flat-screen TV and an LCD projector. Contact our dedicated event staff to discuss your specific needs and to reserve your dates.